Back in 2003, the $999 release price of the Dell M5200n was considered cheap. Now, many years later, refurbished units are available for a quarter of the price, and the unit’s heavy duty specifications are still very relevant today. 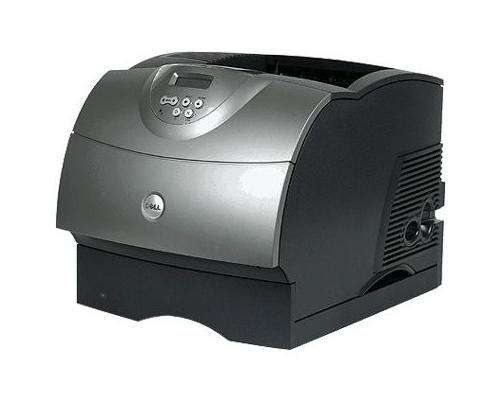 This monochrome workgroup laser printer is capable of fast print speeds and excellent print resolution, though it lacks more than one of the ultra modern features found in newer units. With a print speed of 35 pages per minute, no one is laughing at the Dell M5200n for being old. This high powered unit was the top of the line in its day, and is still extremely fast for a desktop unit by any standard. The unit’s maximum monthly duty cycle is also entirely competitive on any level and tops out at 175,000 pages, making the unit entirely suitable for very high volumes of print, though additional paper trays may be useful in this case to keep refill cycles long. The standard paper capacity of the Dell M5200n consists of a 100 sheet auto loading multi purpose tray and a 500 sheet standard legal sized tray. With the availability of various additional paper tray options, this device can be expanded all the way up to 2,600 sheets of storage; that’s 2,000 sheets higher than the stock 600. A USB port is incorporated into the device but, more importantly, it includes a built in network card that allows for Ethernet support. Heavy duty printers like this almost always come with some sort of networking abilities included due to their extremely high volume capabilities, making them perfect for workgroup use as simple, raw workhorses that can pump out enormous amounts of documents, but do not offer all the other bells and whistles. The first thing one will notice when looking into refurbished, older units is that they are often much larger than the streamlined printers found currently in store. The Dell M5200n is no exception. It has large dimensions of 17.2 in. x 20.2 in. x 16 in. (W x D x H). One would rarely find a legal sized printer measuring over 20 inches long being sold at the moment. Review it: "Dell M5200n "
The Dell M5200n uses a very interesting toner model. Whereas most smaller printers will rely on inexpensive, low yield cartridges that frequently need to be replaced, this Dell model utilizes an enormous 30,000 page capacity cartridge that can cost well over a hundred dollars. 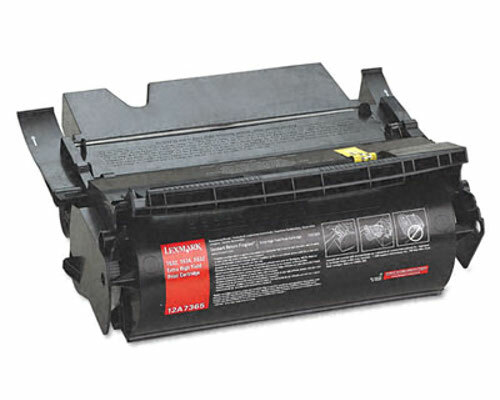 Also available for this unit is a standard yield cartridge that offers only 21,000 pages at 5% coverage for a reduction in price. Usually it is the buyer’s correct choice to go with the more cost efficient high yield cartridge, but in this rare case its possible that the high yield cartridge would outlast the machine itself. These page yields are also only made possible by way of ingenuity on the account of third party manufacturers, as the original OEM toner cartridges were only capable of 12,000 pages. 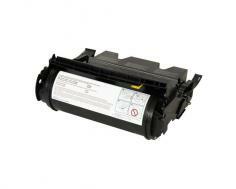 This device, like many Dell laser printers, does not require a drum unit.